We don't mean to imply that engineers are clock watchers, but . . .
this clock has a face you'll never stop watching! Two large scales display the relation of decibels to 20 times the log (base 10) of any number from 1 to 1,000. Dispels the illusion that twice as many decibels means twice as much of any quantity. Explain to the boss that you are not clock-watching, but diligently memorizing decibel equivalents to voltage and current ratios. Most engineers can even tell time with this clock. 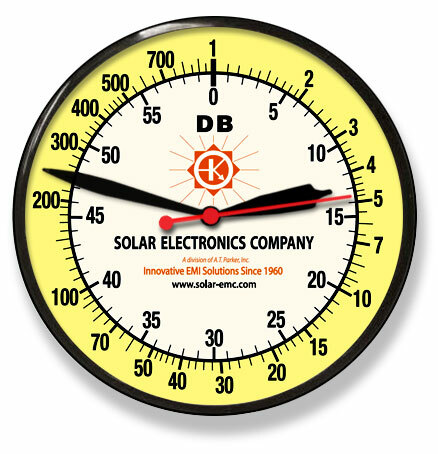 This clock face is large enough to be seen and analyzed even when mounted on the far wall of the lab or the screen room.